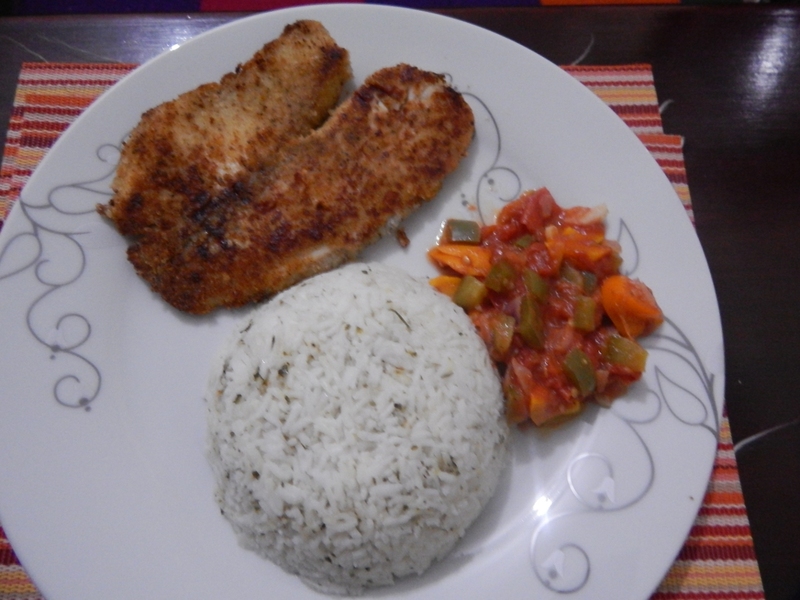 Breaded Fish Fillet - Leo Tunapika? I live for simple recipes, meals that not only take a short time to prepare but also use very minimal ingredients. 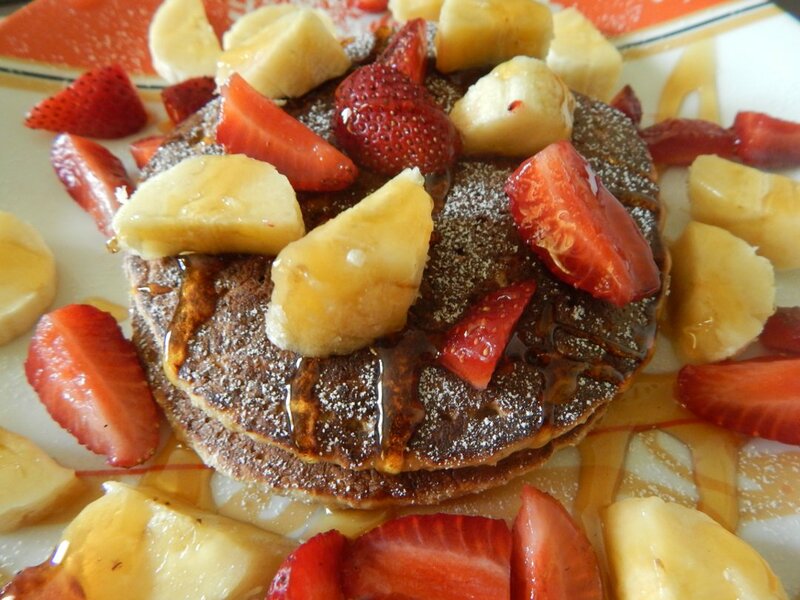 I can’t really call this a revolutionary recipe but it sure gives a delicious end result. This is basically a technique of how I pan fry fish fillets. 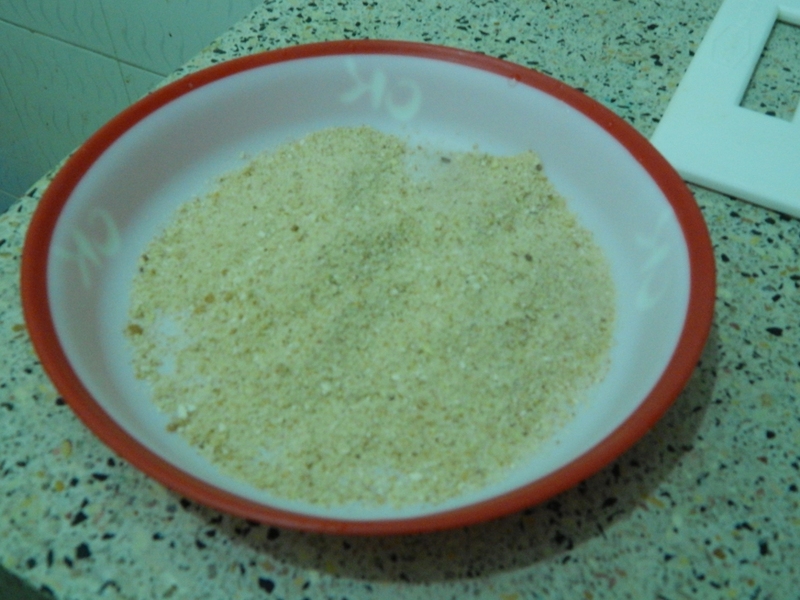 Some of my friends have mentioned to me that they find pan frying fish an uphill task. This is mainly because the fillet either sticks to the pan or does not cook evenly. 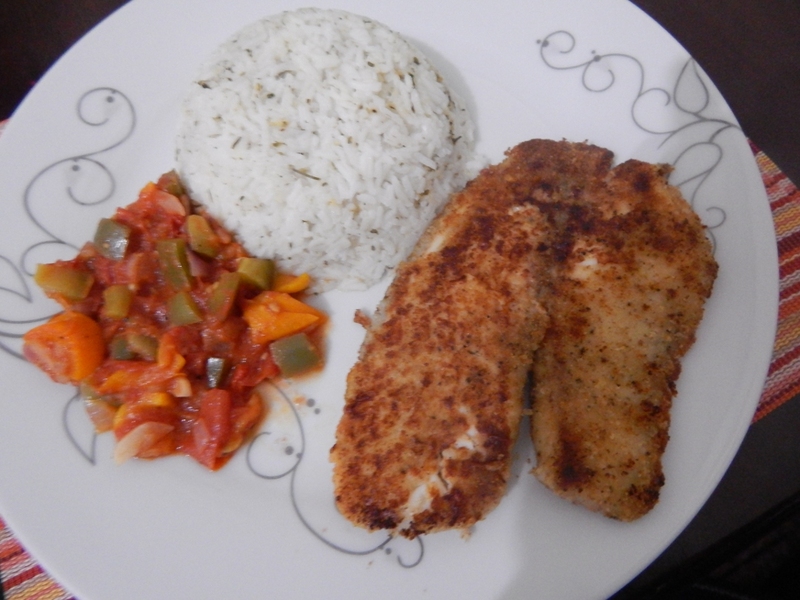 I will attempt to give some few tips and tricks to ensure you have an evenly cooked fish fillet. 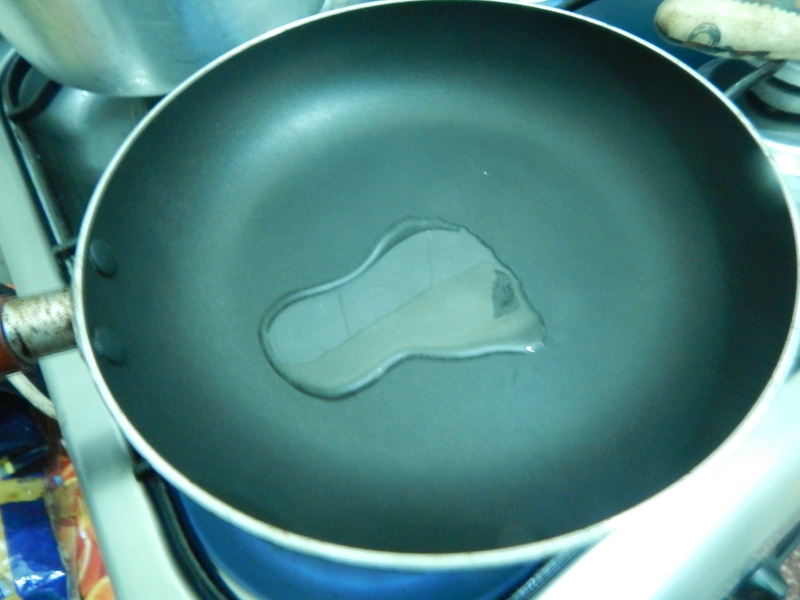 For starters, I recommend using a non stick pan, this ensures that the fillet does not stick to the pan. Well if you don’t have a non stick pan, you can still use an ordinary pan just ensure the pan gets heated before adding in the oil and subsequently heating the oil before adding the fish fillet. Also ensure to cook the fillets over medium heat. Now the actual cooking. As usual only a handful of ingredients are needed. 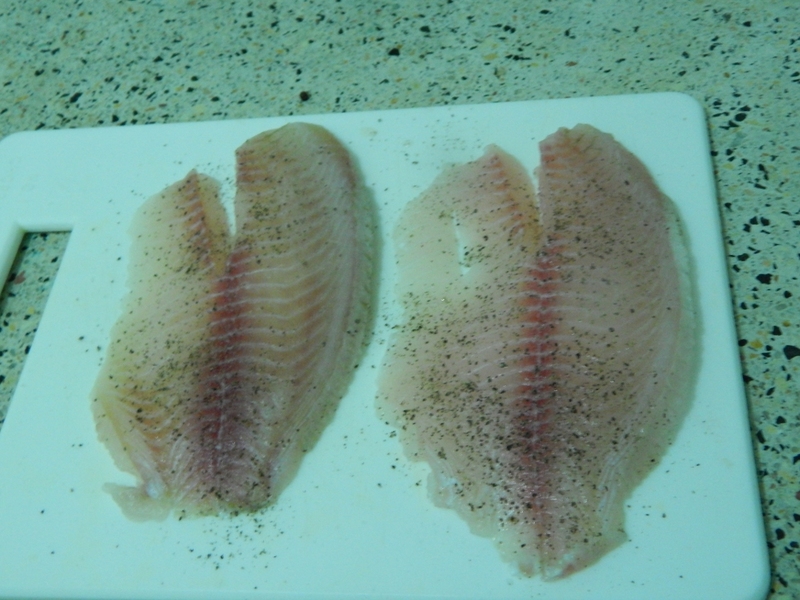 Season both sides of the fish fillets with salt and freshly ground black pepper. 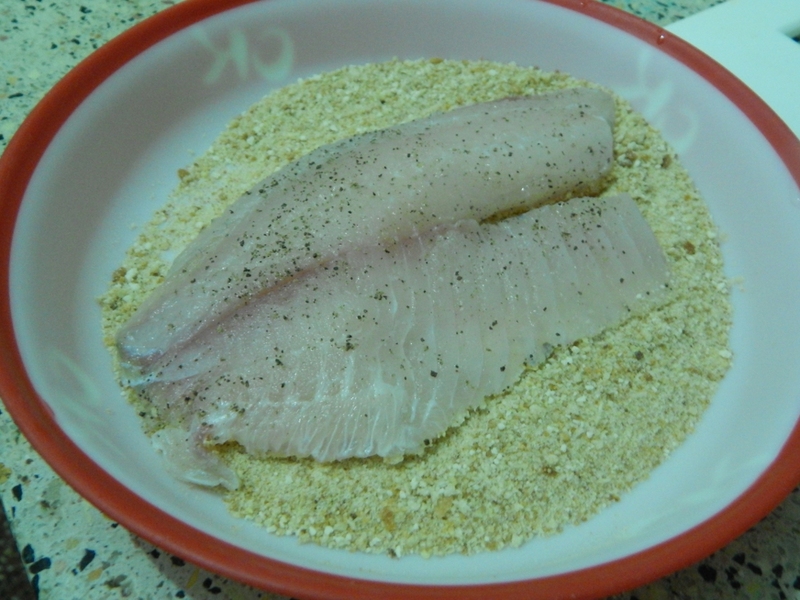 In a shallow bowl, add your bread crumbs and generously coat the seasoned fish fillets. 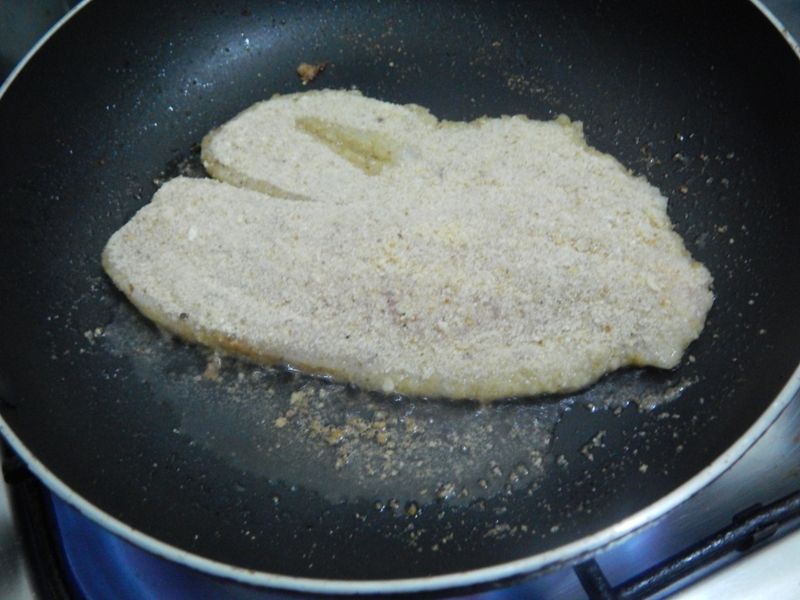 Once heated, add the breaded fish fillet. Over medium heat, cook the fillet for about 4 -5 minutes on each side until lightly browned and easily flakes with a fork. Honestly, this fish was too good I cooked it two nights in a row. Mr. Food Critic aka my husband proclaimed it to be the best fish I’ve ever cooked. Crispy on the outside with a fresh clean taste on the inside. I served it with some parsley coconut rice and some bell pepper sauce. Season the fish fillets with salt and black pepper on both sides. 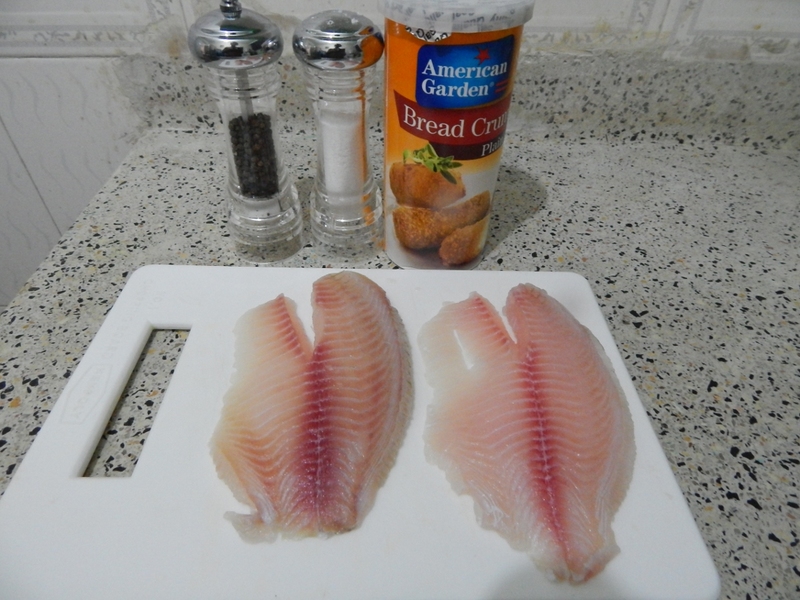 In a shallow bowl, pour in the bread crumbs and generously coat the fish fillets. In a non stick pan, heat about a tablespoon of olive oil. 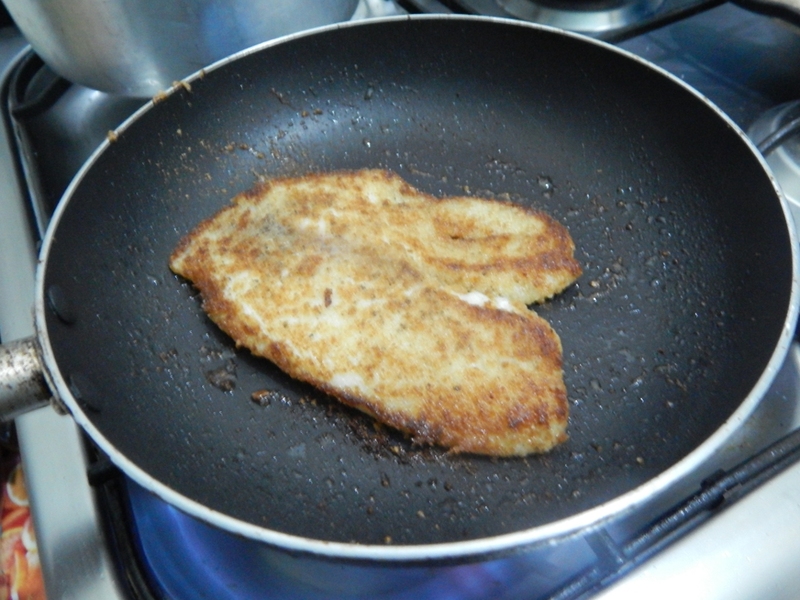 Place the breaded fillet on the pan. Cook over medium heat for 4 -5 minutes on each side until lightly browned and the fish easily flakes with a fork. Thank you Rebecca. Do try and tell me how it goes. he he he Zaitun you’re funny. You can try and see how he’ll react. Ensure to make some sauce on the side. Yippee! I love reading good reports. Glad it was a success. Poor fish mongers. Hi, this is so easy, I made it yesterday and we ate it with some leftover rice and stir fry. I follow your blog, even printed out some of your recipes (promise I tell sell them like that guy)I have nominated you for the Versatile Blogger Award in my blog. Thanks for the positive report. I am glad you enjoyed it. He he he yeah don’t sell the recipes. Sadly at the moment there’s no way to access the recipes offline. Working on an e-book though.